Everyone and their cousin has been talking about Iceland lately. 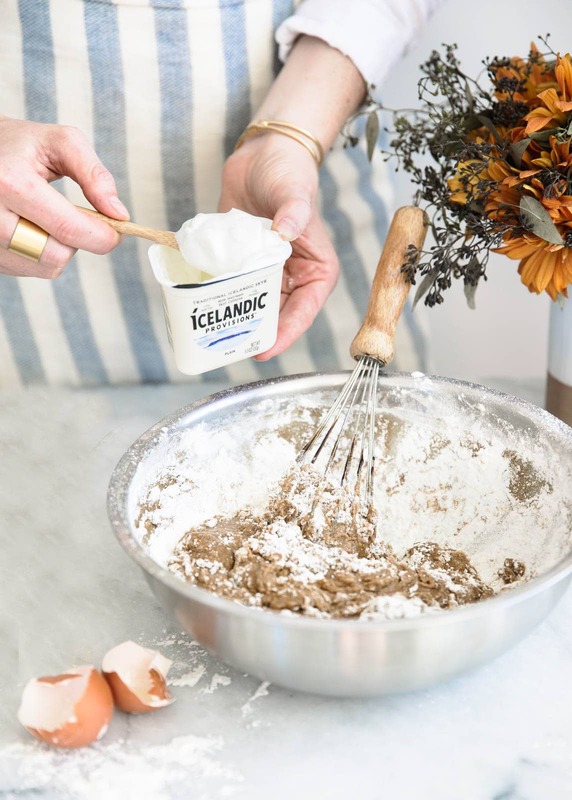 I see shows on TV about Iceland, pictures of friends in gorgeous Icelandic valleys on Instagram, and the food blog community raving about this thing called Icelandic skyr. 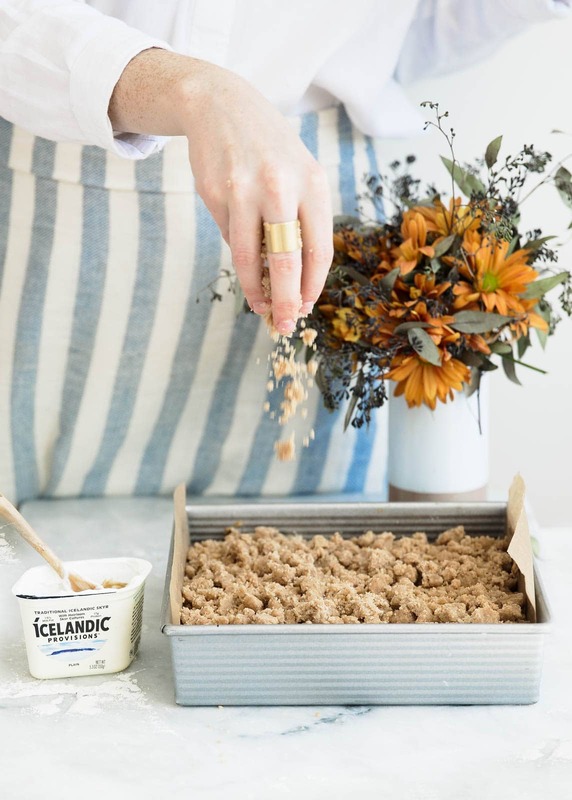 Skyr (say it with me: skee-er) is an Icelandic dairy product with a similar texture to Greek yogurt. The flavor is more mild, and it packs a ton of protein into a single serving. 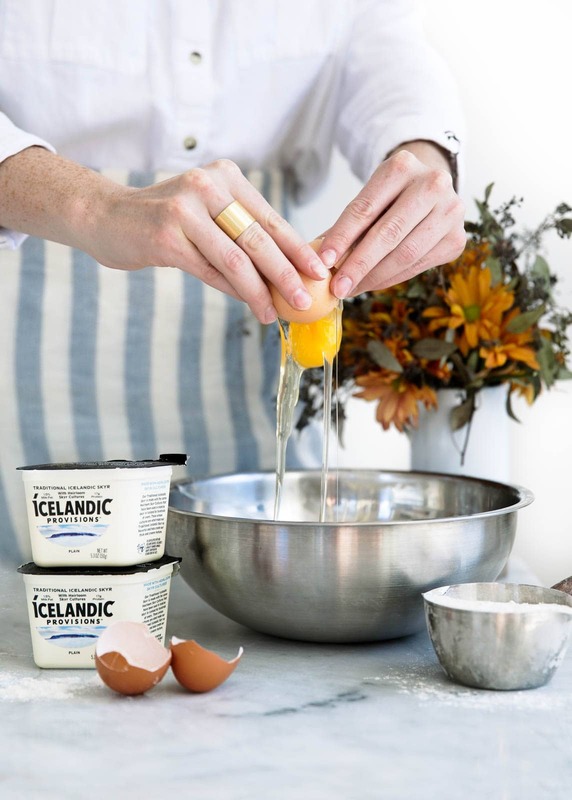 Skyr has been a part of Nordic culture for thousands of years. Until recently, skyr hasn’t been available in the USA. 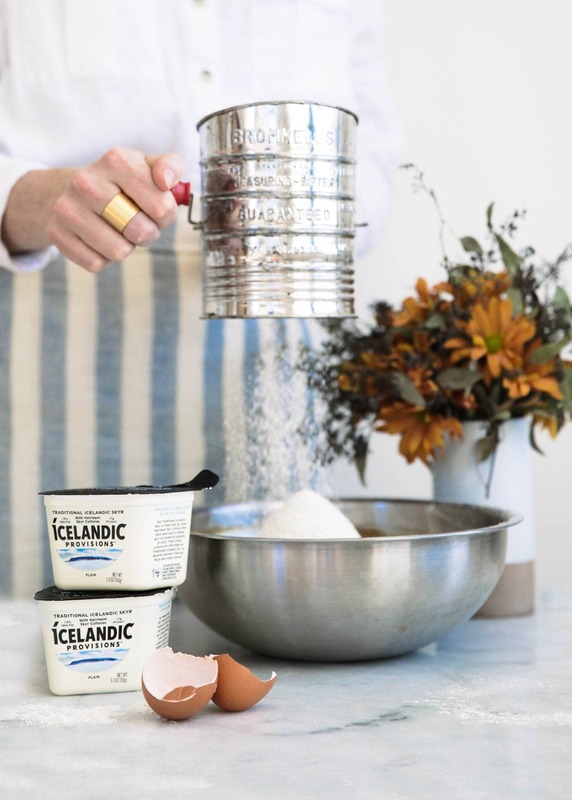 But Icelandic Provisions, an Icelandic-based skyr company, is now available in most states. And it’s SO GOOD. Like, I typically eat Greek yogurt every morning. I like it, but often times it feels like an effort to eat with its signature tart flavor. Skyr, on the other hand, is creamy without being tart. It’s like a wave of delicious dairy goodness on your tongue. 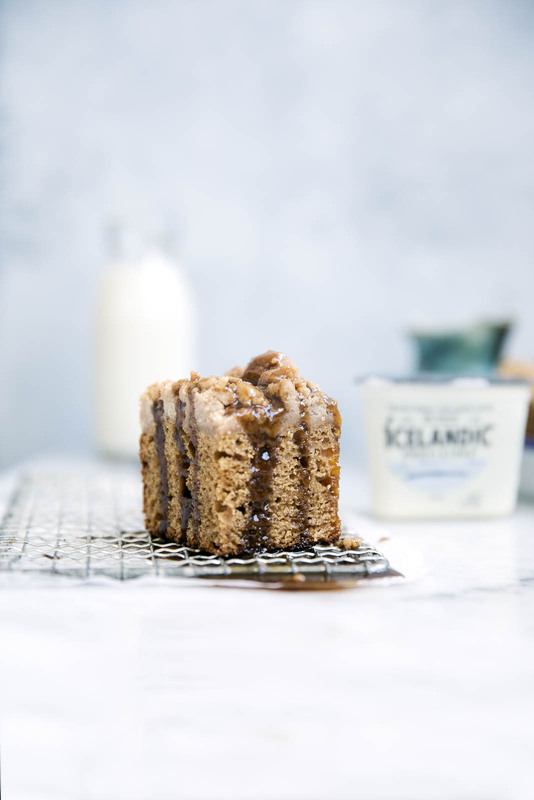 It’s also fantastic to bake with, hence this Icelandic Skyr Spice Cake. 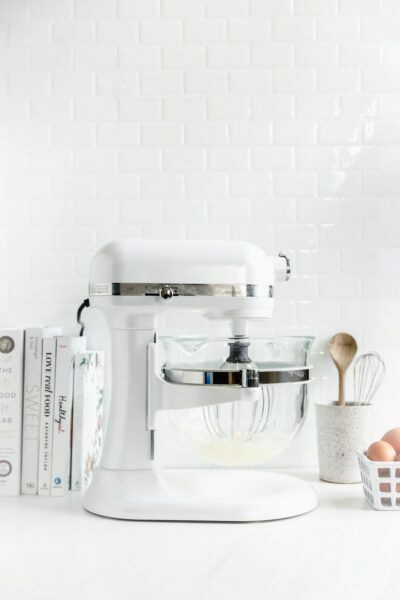 The cultures in skyr make it slightly acidic, which aids in the rising process of baked goods. It also helps contribute to a more deep, or not flat, taste. And it also means you get some extra protein in your baked goods. The flavors, like Blueberry with Bilberry (so cute) or Peach with Cloudberries (CLOUDBERRIES), pay homage to traditional Nordic flavors, which I love, and the flavor is truly fantastic. Mom, are you reading this today? As a traditional yogurt lover, you’ve got to try skyr. 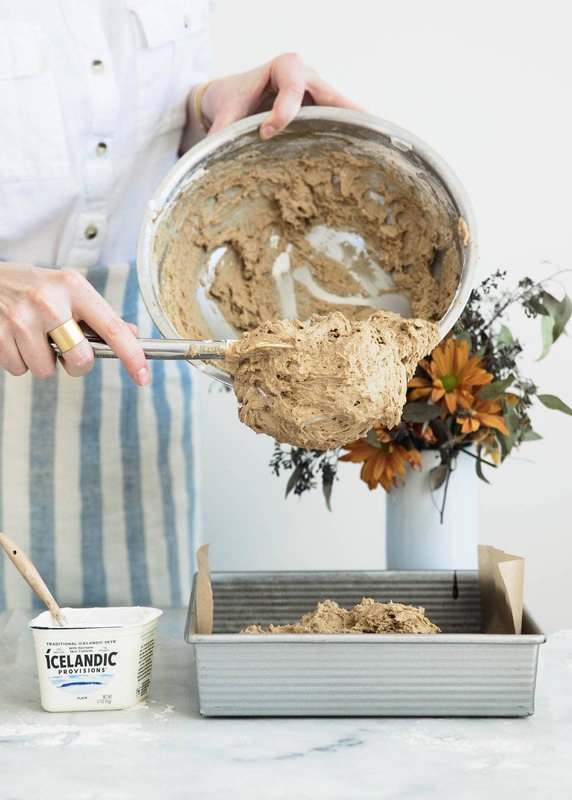 I’m so excited to be partnering with Icelandic Provisions and thefeedfeed on this post. And SUPER excited about a contest they are throwing where one winner and a guest will win a TRIP TO ICELAND. Full contest deets can be found here. I’m jealous already. Please bring me back all the skyr. Preheat oven to 350°F. 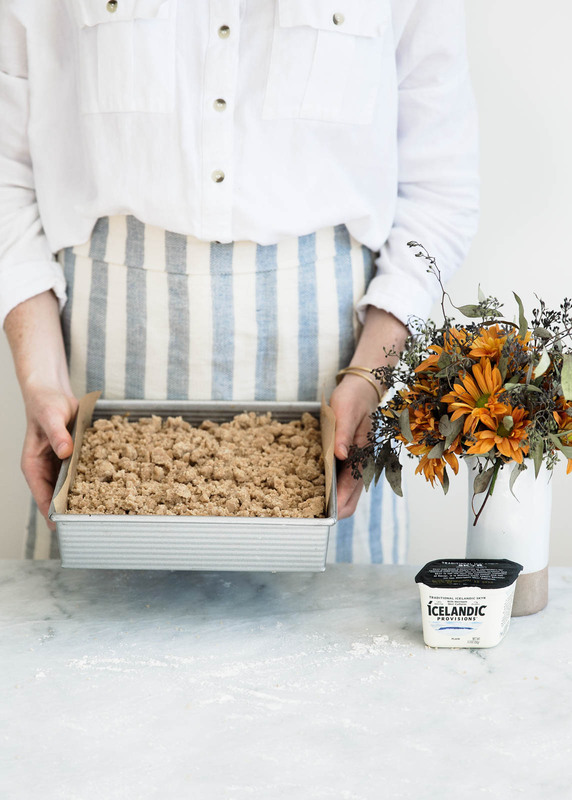 Grease and line a 9″x9″ baking dish with parchment paper. 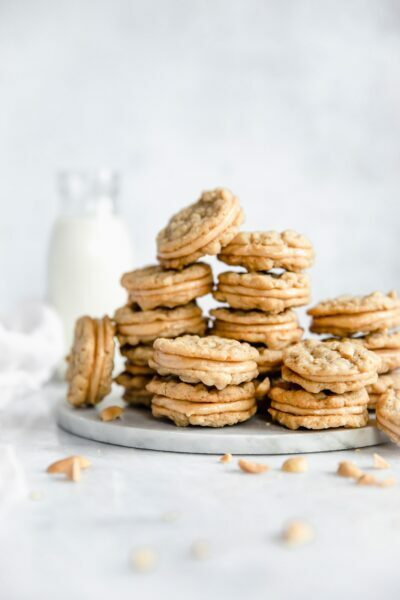 In a large bowl, whisk together the butter, brown sugar, and molasses until creamy, about 1 minute. Add in eggs, one at a time, beating between each addition. Add in vanilla extract. In a separate bowl, sift together flour, baking powder, baking soda, salt, and spices. Use a spatula to fold into wet ingredients until incorporated. Fold in skyr. Batter will be thick. Place batter into prepared pan, smoothing batter to the edges. 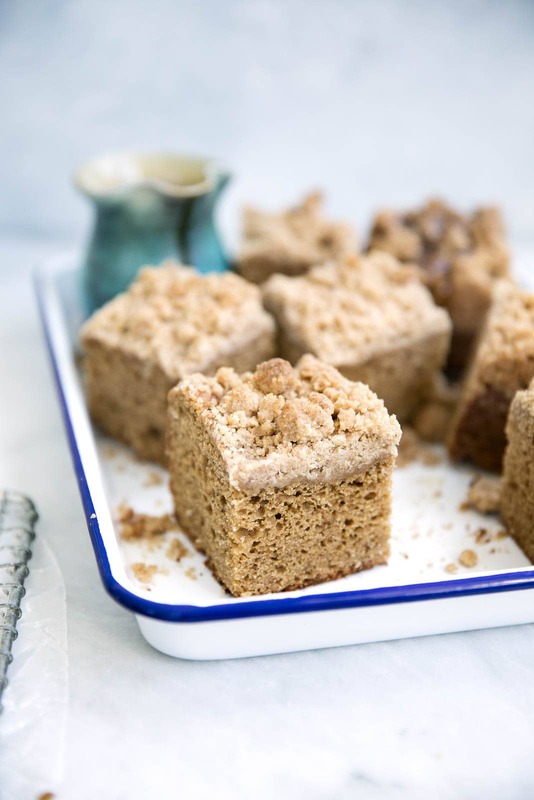 To make the crumb topping, combine flour, brown sugar, spices, and salt. Pour in melted butter and toss with your hands to combine. Use your fingers to rub mixture together until it resembles the texture of wet sand and pieces the size of peas remain. Crumble mixture on top of spice cake batter, then bake cake for 40 minutes. 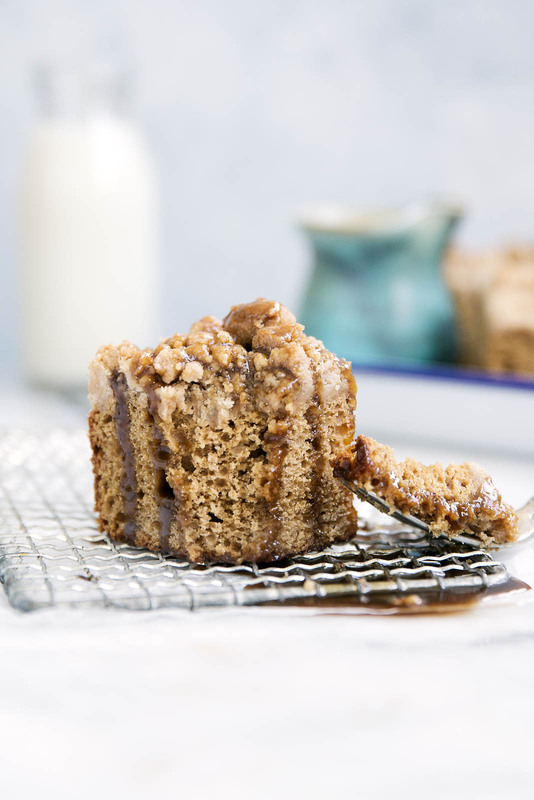 Allow to cool slightly before removing from pan and serving with toffee sauce. In a small saucepan over low heat, combine heavy cream, butter, sugar, and rum (optional). Heat for 5 minutes, until sugar dissolves completely and mixture begins to bubble. Remove from heat and place into a cup with a pour spout. 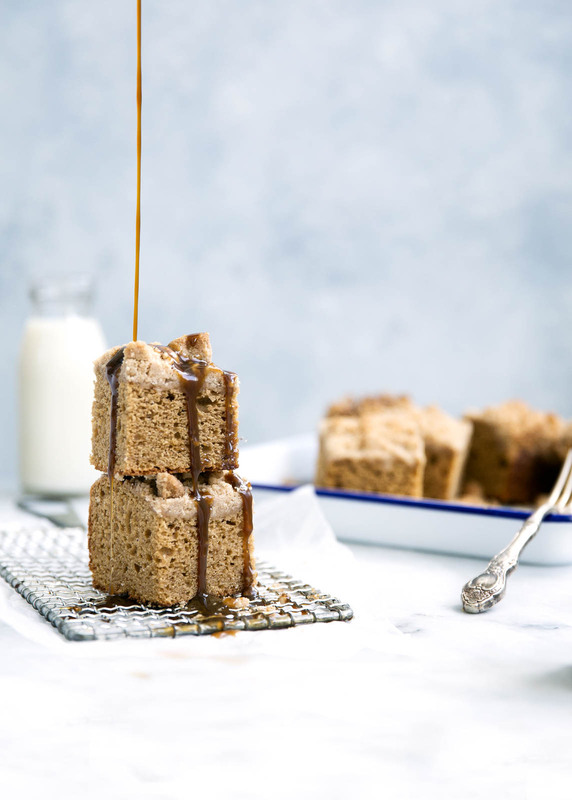 When ready to serve cake, pour toffee over the top. Cake is best served warm, day of! This looks SO good! I love all the interesting information in the post too 🙂 . And your photos are always amazing!! The Mr. and I visited Iceland a couple of years ago. Unfortunately it was cold, windy & rainy so we didn’t get to do as much as we would have liked. But we certainly ate lots and lots of Skyr. I’m lucky that it has been relatively easy to find in my area. I haven’t actually baked with it yet. But this beauty of a cake is definitely motivating me to give it a try. 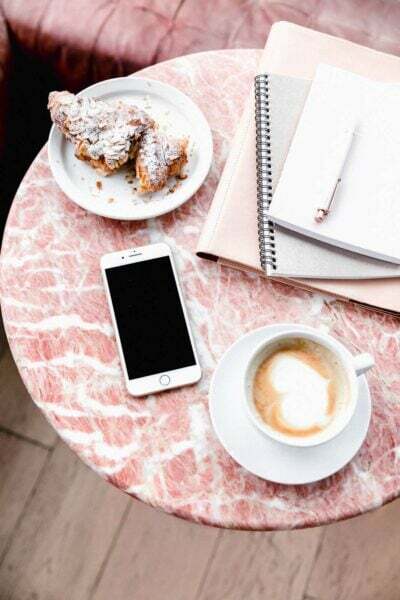 Plus, I’m always on the lookout for ways to sneak a little extra protein in wherever I can.